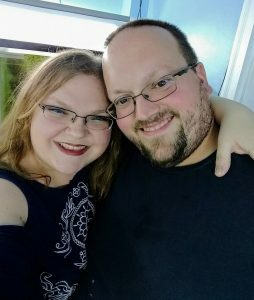 My husband Will and I joined GAAS in 2016 when our hobby truly began to blossom. Within the year, we joined the Board of Directors as Secretary and in late 2017 officially took over the GAAS Website, Publicity & Social Media Team Positions. I also dabble in digital art and have hand drawn and designed the 2 most recent GAAS Shirts and the majority of art used across the GAAS website and facebook. We began our aquatic adventures together when our oldest son brought home an olive nerite snail and a rosy red minnow from science class. Of course, this forced us to learn appropriate aquatic critter care.. and quickly… we have become quite the DIY duo since. 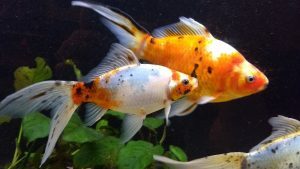 Our main interest in the hobby is Goldfish, Axolotls, and Plecos. While I am the driving force of our hobby and oversee research, care, and conditions Will is the one who makes it all happen and has excelled at fishkeeping DIY. 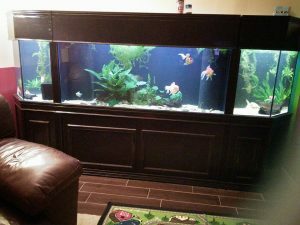 While we both had interest and some experience in the hobby since childhood, we both truly began getting serious about it together when we set up my first “adult” tank, (a 55g Goldfish Tank) in 2014 after we bought our home. 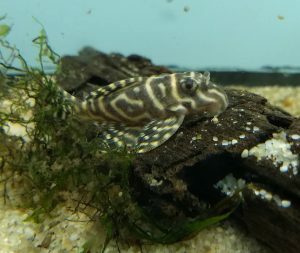 Will’s first “adult” tanks followed just a few short months after mine with a 40b Dojo Loach tank and an Ancistrus Green Dragon Pleco tank. 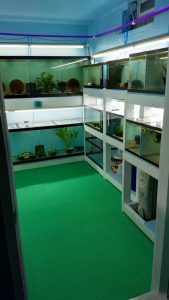 When my beloved goldfish outgrew their hand-me-down 55g, Will stepped up to the challenge and built our 210g Goldfish Display Set-up with DIY Corner Hamburg Matten Filter Boxes. Next,in the summer of 2017, our miscellaneous handful of tanks in the basement turned into small full-blown, heated fishroom that Will built himself. It currently houses 18 running tanks from 10- 125 gallons with air driven filtration. At this point, we thought we were done expanding…. 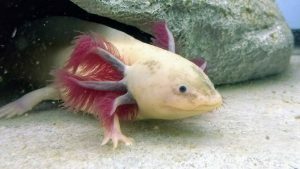 Then I discovered my new love… Axolotls…. this caused a mix-matched area of 6 coldwater tanks ranging from 20- 65 gallons to be added to the basement. So, of course, the next major project will be a nice planned out coldwater area. 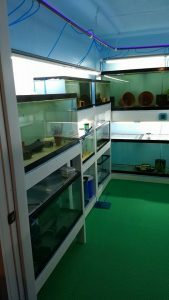 We primarily keep our Aquatic critters as pets, with only a few select species intentially bred. When breeding happens, it is usually just a fun surprise and is rarely tried for. So on occasion, you will see our animals up for sale on our Facebook Store Page WMD Aqua Pets or in the local auctions under the tag WMD.